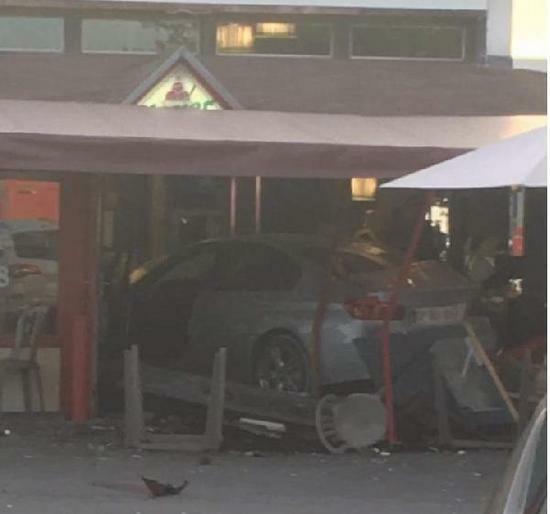 PARIS (AP) — French police say an 8-year-old girl was killed and at least five people were injured when a driver slammed his car into the sidewalk cafe of a pizza restaurant in a small town east of Paris. An official with the national gendarme service said the driver was arrested soon after the incident Monday night in the town of Sept-Sorts. The official said it is unclear whether the act was deliberate. The official was not authorized to be publicly named according to police policy. An Algerian man drove his car into a group of French soldiers last week, and a truck attack in the French city of Nice left 86 people dead a little more than a year ago. Several other countries have seen cars used as weapons in recent years. AP says 6 dead, it is now up to 8 per Reuters latest update. BAMAKO (Reuters) - Gunmen attacked a United Nations peacekeeping base in the northern Mali city of Timbuktu on Monday, officials said, killing seven people, including five Malian security guards, a gendarme and civilian. "An attack has been launched against one of our camps in Timbuktu (by) unknown men with machine guns," Radhia Achouri, a spokeswoman for the U.N. peacekeeping mission, said earlier by telephone, adding that it had deployed a rapid response force with helicopters to the scene. Mali's army spokesman Selon Diaran Kone said the incident was now over, as the assailants had been repelled and four of them killed. Fox News rolls out Daft-boy Shep to filter/interpret incoming reports, make stuff up, get things wrong. Shep will caution that we don't know "the motive" could have been just an accident. Eventually, Shep will concede it was NOT just a brake failure, and "tie it all together" and announce it's Trump's fault. BARCELONA, Spain (AP) 4:10 a.m.
Russia? According to @TerrorEvents, ISIS has claimed the attack with a written statement. 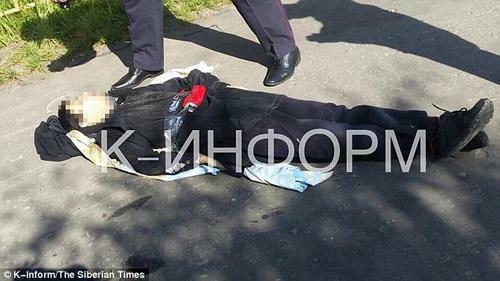 A teenage knifeman wearing a fake suicide belt wounded at least eight people in a frenzied attack in a Russia this morning. The attacker, named locally as 19-year-old Artur Gadzhiev, was shot dead by police in a busy main street in Surgut, central Russia, at about 11.20am local time. 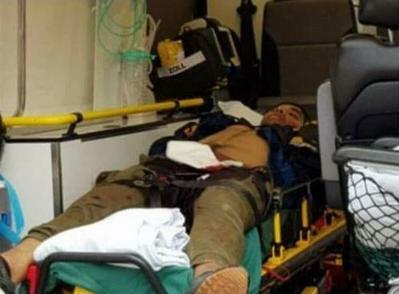 He is believed to be from Dagestan, a strongly Muslim region of Russia in the Caucasus. Gadzhiev's father Lametulakh was reported to be registered with Russian police as an 'extremist' and 'supporter' of radical Islam. Shocking CCTV shows people fleeing for their lives as the attacker rampaged outside shops in the city. Footage shows him running by a pavilion and throwing something away before he was shot dead. At least two people are fighting for their lives, while another five were hospitalised in the stabbing spree, authorities said. However witnesses claimed that the number of victims could be much higher. COPENHAGEN, Denmark – The knife attack in western Finland that left two people dead and seven others wounded is "a likely terror act," Finland's intelligence agency said Saturday, while police said Europol was investigating if it had any ties to deadly vehicle attacks in Spain. "It's likely at this moment that we're dealing with a terror attack," intelligence agency investigator Pekka Hiltunen said, adding that it was investigating the suspect's connections to the Islamic State group, since IS "has previously encouraged this kind of behavior." "We think the attacker was going after women," Granroth said, adding that one man was slashed with the knife when he tried to stand between the attacker and a woman. US band Allah-Las called off their gig at the last minute after Dutch authorities received a tip-off from Spanish police. Police swooped on the Rotterdam concert venue amid fears of a terror threat. Police arrested the driver of this van near the concert arena after a tip-off from Spanish cops. Thanks, Molly. I awoke to the news. Again these rag-heads are attacking places I have been and know!! Twenty-nine people have been treated in hospitals, mostly for burns, though at least eight have now been discharged. A hunt for the person who placed the device is under way and the area around the station has been evacuated. 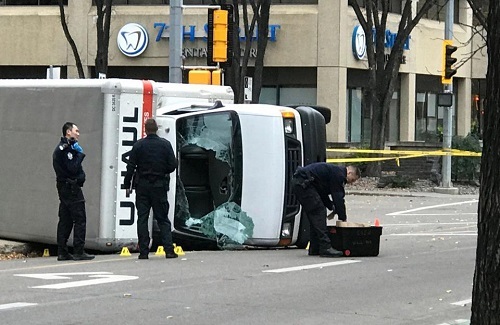 An Edmonton police officer and four pedestrians are in hospital with undisclosed injuries after a violent string of incidents which the city's police chief says is being investigated as a terrorist attack. Police have said a 30-year-old man is in custody, and appears to have acted alone. 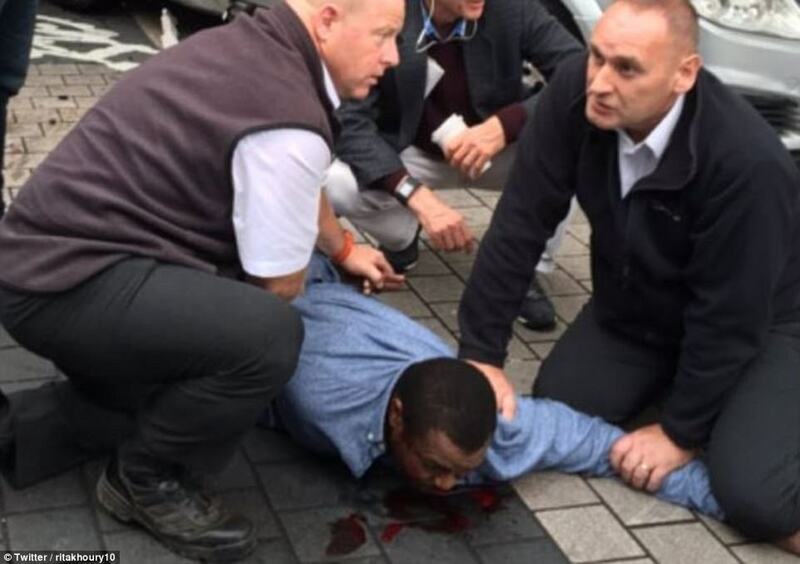 ETA: Update by @TerrorEvents 2m "The suspect has been identified as Abdulahi Hasan Sharif. (CBC)"
ISIS claimed responsibility in a statement. One victim had her throat slit and the other was stabbed in the stomach. They were aged 17 and 20. President Emmanuel Macron said he was disgusted by the "barbarous act". He paid tribute to the soldiers and the police officers who responded. 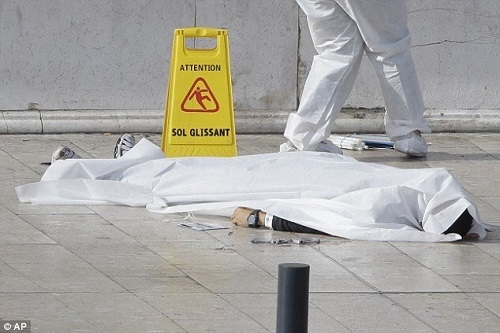 The attack took place by a bench outside the southern French city's Saint Charles train station. Interior Minister Gérard Collomb told reporters that the attacker had fled after the first murder but returned to kill again. A trio of maniacal terrorists targeted women and children — hoping to make “an ocean out of their blood” — in a failed attack they dreamed would be on par with 9/11, federal officials said Friday. The ISIS-inspired plot to set off bombs in Times Square, the New York City subway system and at concerts in the Big Apple was thwarted by the FBI and NYPD before it ever got off the ground. A federal court unsealed indictments against the three men in connection with the foiled attack, set to be carried out last summer, according to acting U.S. attorney Joon Kim. The would-be jihadists were identified as 19-year-old Canadian Abdulrahman El Bahnasawy, 19-year-old Tala Haroon, a U.S. citizen who lives in Pakistan, and Russel Salic, 37, of the Philippines. AUTHORITIES Quick to Declare this as "Not Terror"... but I disagree!! BTW... I have walked around that area... as I have all the areas now subject to attack by savages. A former U.S. Marine with ties to Modesto and Merced has been accused of planning a Christmas terror attack in San Francisco, according to federal court documents. Everitt Aaron Jameson, 26, was targeting Pier 39 for the attack on Dec. 25, according to a criminal complaint. He was arrested Wednesday and charged with attempting to provide material support to a foreign terrorist organization. Jameson told an undercover FBI agent he, "had been there before and knew it was a heavily crowded area," according to the complaint. Jameson also met with another undercover agent whom he believed to be associated with the senior leadership of the foreign terrorist organization, ISIS (the Islamic State of Iraq and al-Sham, also known as ISIL). During his interactions with this undercover agent, Jameson offered to carry out violent acts and to provide financial support for the terrorist organization. This is same highway I've driven a million times going to Chicago. It took from Nov 23 to December 4, for the driver's name to be released. This is an old news article because there is NOTHING new since. Don't know why the article doesn't state 12 injured. I read several older articles with less information. MADISON COUNTY, Ill. – The 5 On Your Side I-Team is digging into the details of the crash on Interstate 55 that killed four young women and injured several others. Police said it happened when a semi-truck failed to slow as he approached the vehicle in front of him. A 53-year-old man named Mohamed Yussuf Jama was at the wheel. Police said he's from Colorado. Illinois State Police said there is no indication that the driver attempted to stop before hitting the vehicles in front of him. Investigators also said they're looking at all possibilities of how this could've happened. Mr. Putin has long burnished his image as tough on terrorism, and the comments were noteworthy not so much for signifying a change in policy — Russian counterterrorism forces have shot and killed dozens of terrorism suspects over the years — as for displaying the antiterrorism swagger he was known for early in his tenure. The explosive device had a power equivalent to about 200 grams, or seven ounces, of TNT, the Russian authorities said, and it was laced with bolts to act as shrapnel. A man the authorities described as having a non-Slavic appearance had placed a backpack containing the bomb in a locker at the supermarket, then fled. SHELBURNE, Vt. — Police say a man in Vermont has used a machete to attack a woman in her 70s as she delivered meals to a motel being used as emergency housing for the homeless. 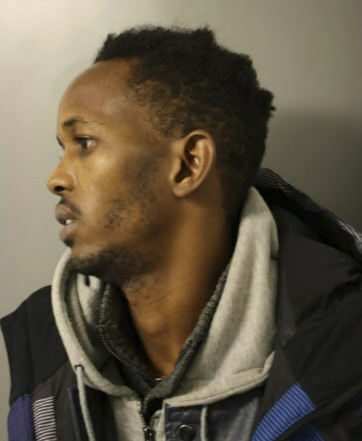 WCAX-TV reports 32-year-old Burlington resident Abukar Ibrahim is accused of attacking the 73-year-old Meals on Wheels volunteer who was dropping off meals at Harbor Place, which serves as a temporary emergency housing facility. The attack happened Friday in Shelburne. The woman was sent to a hospital with multiple injuries and later released. Police say Ibrahim barricaded himself in a room for 2½ hours after the attack before coming out. He was being held at the Chittenden Regional Correctional Facility. I had not heard about this .. until saw an AP report that ISIS has claimed responsibility. The agency cited Mayor Alexander Shuvalov as the source for the number of people killed and wounded. The assailant was identified as a 22-year-old man local to the region, the TASS news agency said, citing the investigative committee. He has been reported dead. 'An unknown man opened fire with a hunting rifle in Kizlyar, fatally wounding four women,' the regional internal affairs ministry said in a statement. His name is Hafiz Kazi, 51, a native of India who was a permanent legal resident of the US, moving here in 1993. The car that breached the perimeter of a California Air Force base before going up in flames Wednesday night was packed with propane tanks that had been intentionally ignited by the driver — leading investigators to now probe the incident as an act of terrorism, according to a report. The driver sped through a gate onto Travis Air Force Base — about 50 miles northeast of San Francisco — around 7 p.m. local time, and careened into a ditch, where the car burst into flames, according to CBS News. The driver, whose identity has yet to be released, died inside the car, apparently from the fire. No other injuries were reported. Armed police have killed a suspect who shot dead three people in a series of attacks in southern France. The heavily armed gunman hijacked a car and then took hostages at a supermarket in the town of Trèbes. The man, named as 26-year-old Redouane Lakdim, said he was fighting on behalf of the Islamic State group. He is believed to have killed and wounded his victims in three separate incidents which began in Carcassonne, 15 minutes' drive from Trèbes. Later, President Emmanuel Macron said 16 people had been injured in the attack. Among them is a gendarme who swapped places with a hostage. Mr Macron said the man, who has been hailed for his heroism, was fighting for his life in hospital. He was shot several times, Paris prosecutor Francois Molins told reporters. One person has been arrested in connection with the shootings, he added. The suspect is said to have been demanding the release of Salah Abdeslam, the most important surviving suspect in the 13 November 2015 attacks in Paris, which killed 130 people.